As if we didn't already know this to be true, the Penguins fans were voted the best fans in all of the NHL as part of a FanSided/Time fandom poll. It a random, somewhat whacky, listing of all things fandom (included in the list: things like yoga, Westworld, Bernie Sanders and Deadpool) the Penguins came out on top of all NHL teams for the greatest of all fandoms. So congrats you guys! In a ranking of 250 items the Pittsburgh Penguins came in at 70th overall, between American Horror Story and NASCAR. The Steelers topped all Pittsburgh entities at #23. The top three in this poll? Beyonce at #3, Star Wars at #2, and bandwagoning Chicago Cubs fans at #1. 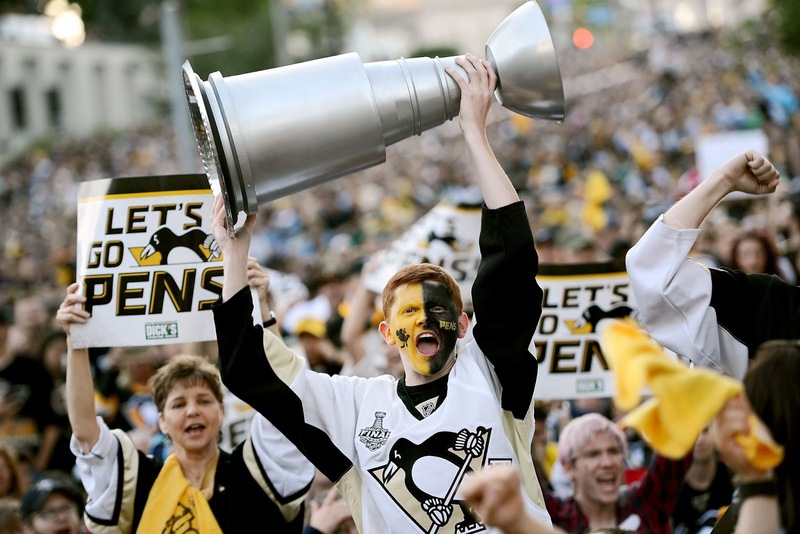 So remember this Pens fans: Next time Sid says we have the best fans in hockey, he's 100% right.